Harmony Korine's directorial debut Gummo is a contemporary masterpiece. It is an art film that reflects contemporary western civilization (or the destruction of) better than any other of it's kind (it is one of a kind). Mainstream film critics (petty propagandists) have almost unanimously attacked Gummo calling it everything from “pretentious trash” to a “sick joke” on the directors part. I slightly agree with the latter assertion. Harmony Korine comes from a Jewish atheist background and like many Jewish atheists, he also comes from a communist background. Korine stated the following about his mother's Jewish background, "My mother’s side was a bit more liberal, from Eastern Europe, like Communist Trotskyites." Trotskyite is in reference to to Marxist philosophies of Jewish Bolshevik revolutionary Leon Trotsky (born Lev Davidovich Bronstein). Trotsky was responsible (with his Bolshevik buddies) for the deaths of tens of millions of White Russians. Josef Stalin later had an ice axe driven into Trotsky's skull. Jewish atheists often are communists because the political belief replaces the religion of Judaism. Communism calls for the destruction of all religions (calling religion “the opiate of the masses”) and international revolution. These two characteristics greatly reflect an unofficial form of secular Judaism. Harmony Korine commented the following on being a Jew, "I’m half-Ashkenazi, half-Sephardic. I was barmitzvahed, I went to temple, but I always felt more of a kinship with the culture than I did with the texts." Jewish Soviet general and brother in law of Josef Stalin, Lazar Kaganovich (born Kogan) made the conscious decision to have up to between 7-10 million Ukrainians starved to death in the Holodomor (taking place 1932-1933). Although an atheist Jew and long deracinated from the Jewish collective, Kaganovich admitted that famine was an act of revenge against many years of Ukrainian Christian (Kulaks) antisemitism. The Kulaks represented the farming bourgeoisie and were deemed "unfit" for Soviet collectivization. This genocidal Holocaust has become virtually unknown in the west and represents an example of the many mass murders carried out by communists over the past century that have been hidden from the American population. 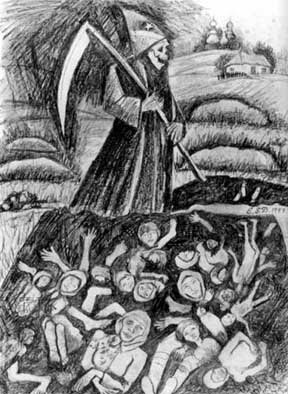 The amount of deaths that can be attributed to Lazar Kaganvich's rein of terror (aside from Holodomor) is conservatively estimated at 14,500,000 dead. Don't expect to see Steven Spielberg directing films about those holocausts. When Karl Marx invented communism (born Moses Levy Mordecai, or Mordecai Levi, it is unclear what his real name was), he knew that he would be destroying Christianity and the power of the European monarchical nation states in the process. 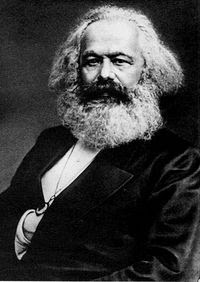 Karl Marx was descended from a long line of Rabbi Talmud scholars and Judaism (although often criticizing himself) played a crucial part in the philosophies of Marxism. The Talmud preaches of a tribal form of socialism with ownership of property to be controlled by elders of the community (which is actually practiced in Israel today in the form of Kibbutz communes). Now we have to take a look at the consequences of communist revolutions and their effects on Western Civilization. After the second World War, European nationalism became a taboo of sorts (because of the failure of Fascist and National Socialists governments). Most of the great nations of Europe were in ruins and all the countries were built up again to be socialized via the Marshall Plan. Now Europe is taking on a similar system to that of the Soviet Union with the anti nationalist European Union. Christianity has lost a good amount of it's original stranglehold over Europe also.The same subversive occurrences have also taken place in the United States. America has experienced a flood of international immigration and monetary outsourcing. The United States is steadily entering a future (which we almost are) police state style neo-Bolshevism (called “globalization“). America will soon no longer be a country for “Americans.” A North American Union is currently in the works. Harmony Korine makes all these unfortunate circumstances obvious in Gummo (named after the least famous Marx brother). The Aryans in the film have taken up glue sniffing, Satan worshiping, cat killing, and other associated degenerate acts. Christianity has clearly all but disappeared (except for an unconsciously humble retarded woman) from the life of these miserable human beings. All situations found in Gummo reflect the disappearance of European Christianity and the values that it upholds. The defeat of Western civilization is confirmed in one pivotal scene in which a gay black Dwarf (wearing an Israel shirt) beats a drunken white trash Aryan in an arm wrestling match. It is clear here that Western European civilization has been weakened to such an extent that the most obscure of minorities (a gay black dwarf) has no problem beating a towering Aryan monster. 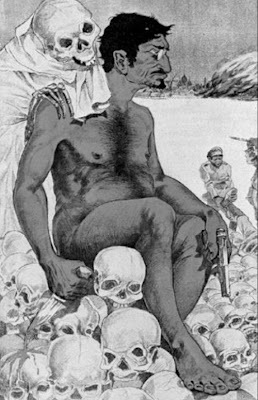 The Israel shirt worn by the black Dwarf symbolically represents this. Israel is a fundamentally Jewish secular society that really has no strong religious ties. The nation was founded on terrorism by those schooled in Bolshevism terrorist thought. 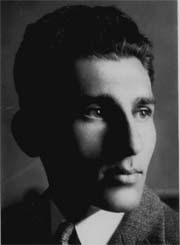 Avraham Stern's (who was eventually assassinated by the British) NMO "Stern Gang" even offered to fight for the Nazis during World War II in hopes of getting more Jews evacuated to Palestine. Stern was also a promoter of the socialist kibbutz movement (as most underground Zionists at the time were). Another important scene in Gummo is when a perverted Jewish gossip columnist who claims to be the brother of Freddie Prinze scams a group a white trash girls in taking a ride with him. He attempts to put his hand up one of the bleach blonde haired girls skirt and is immediately denied his perverted desires. The girls escape the car of this sleaze bag gossip columnist and he shouts at them “nothing new for trash like you” in a triumphant display of arrogance. This Gossip columnist can easily be looked at as the protégé of Jewish gossip columnist Walter Winchell. Winchell played a significant role in getting America into both World War 1 and 2 with a hateful attack of slanderous propaganda against Germans (calling them Huns and such). The power of media had yet to infiltrate so many American households as it did during the early 1900s and there after. People didn't realize at the time the almost unlimited power of media and the influence on the psyche of the everyday individual. Most people don't expect to be lied too. Walter Winchell made his original debut in the Jewish American ghettos performing vaudeville acts (something that can be still seen in the form of Hollywood movie comedies). 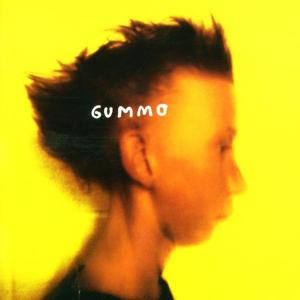 This is interesting as Gummo is like one big deranged vaudeville comedy act. The charismatic character of Tummler (from Yiddish tumler, from tumlen 'make a racket') in Gummo performs a vaudevillian stand-up comedy routine for a Jewish pimp (who is pimping out his Blonde haired wife with downs syndrome) played by Jewish philistine actor Max Perlich. In numerous parts of Gummo you can find photos of vaudevillian performers in black face placed randomly throughout the film. 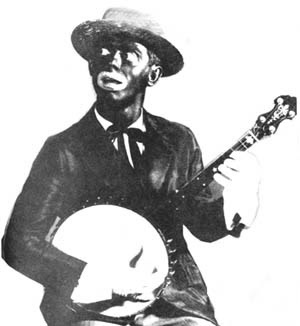 Jewish entertainers utilized blackface as a means of becoming more “white” in a time when the Anglo elite still dominated the United States. Harmony Korine knows his roots and is schizophrenically obsessed with them. Legendary and important contemporary filmmakers such as Werner Herzog, John Waters, Bernardo Bertolucci, and Gus Van Sant have all championed Harmony Korine as one of the most important directors of his generation. Mainstream film critics know (in most cases I suspect) exactly where Korine is getting at with his films and they will do anything to slander, degrade, discredit, and not even acknowledge the young auteur. They fear directors like Harmony Korine who have exposed the truths that they hope to be so neatly tucked under an iron and sickle rug. May Korine continue his “revolution” of artistic integrity and cinematic truth for years to come. Hopefully he won't have an overdose anytime soon. Thank you so much for this. This is something I wanted to do and you beat me to it. I knew these soulless pieces of trash were Jews just doing their part to help destroy OUR once beautiful family oriented American culture as only this repulsive creature can. Now please do an expose on Larry Clark (Kids, Ken Park) so I can be confirmed of my suspicions once again.